One of our favorite breakfast spots is an awesome little hole-in-the-wall place up in Royersford, PA called Annamarie’s Place. We don’t make it up there too often, though, because it is a bit of a drive, but our favorite ice cream is also in Royersford (and sells its ice cream in half gallons), so we will make the trip for brunch and to re-load our freezer with ice cream. Annamarie’s is very much like an old college haunt of ours in Waterville, ME called Big G’s. Both serve large, delicious portions of various omelets, pancakes, french toast, and other breakfast specialties. Here are some pictures my mom took on our first visit in the fall of 2014, including the real Banana “Bill” pancake, the Big Ram (sausage gravy over eggs, biscuits and potatoes), the Porker omelet (ham, bacon, sausage, and american), and the Cinnabun pancake. Based on this recipe from here. Heat griddle to 350 degrees. In a small bowl, mix wet ingredients. Mix wet ingredients into dry ingredients, being careful not to overmix. 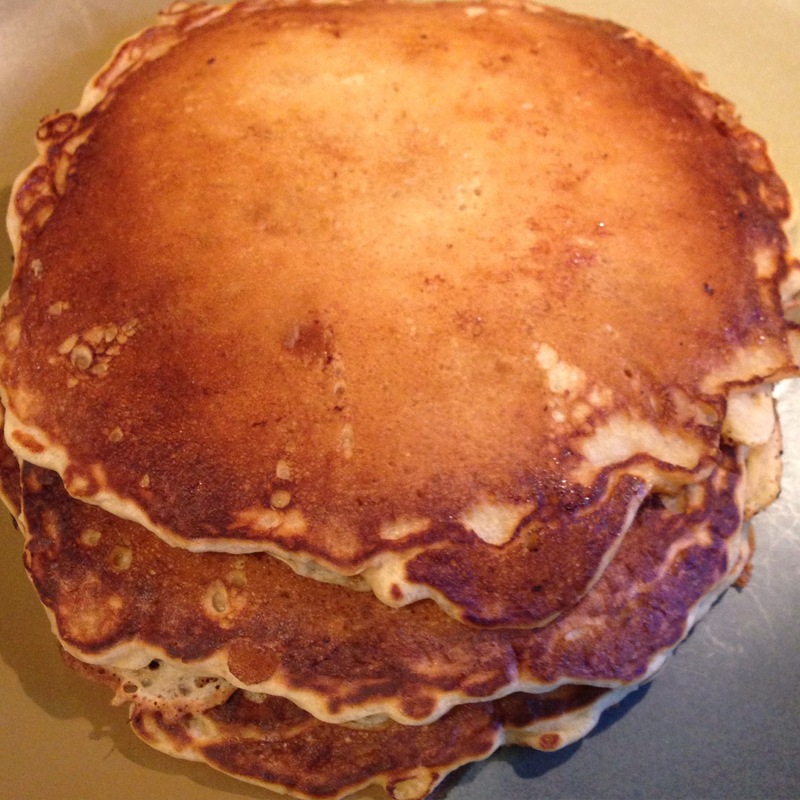 Pour batter onto the griddle, add 5-6 slices of banana and 1-2 tbsp. of butterscotch chips depending on the pancake size. Flip pancakes once bubbles begin to form at the edge. Serve warm with Vermont maple syrup.